Forgotten Bookmarks: Need A Hand? 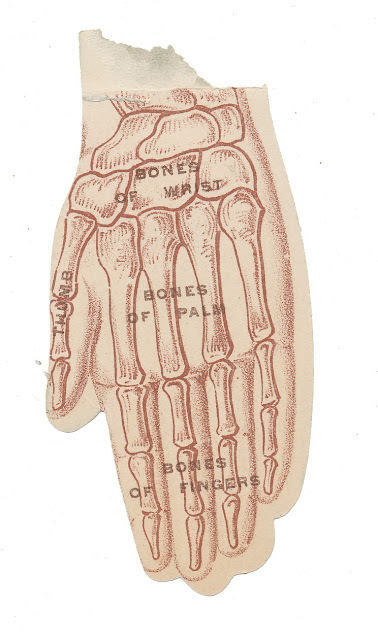 Illustration labelled "External View of Hand," reverse shows the bones. I'm guessing it came out of one of those old "Home Medical Advisors." 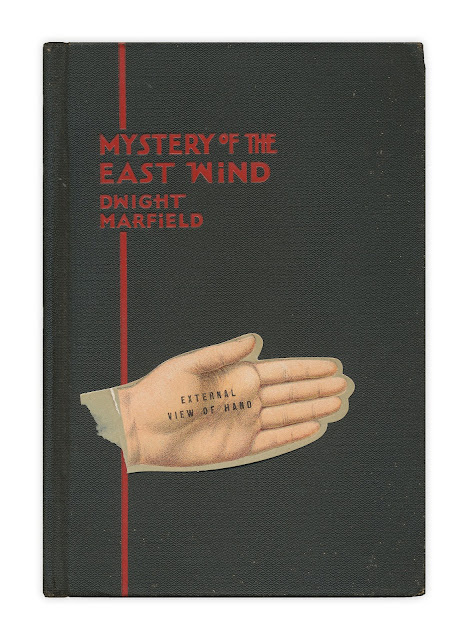 Found in "Mystery of the East Wind" by Dwight Marfield. Published by E.P. Dutton, 1930. Certainly makes for a creepy bookmark!